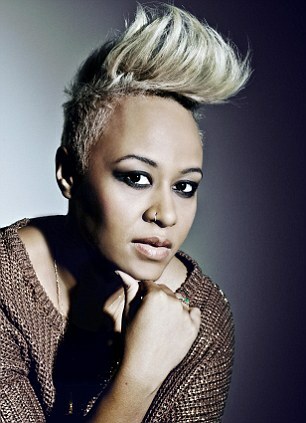 Adele Emeli Sandé Gouraguine, better known as Emeli Sandé, is a Scottish recording artist and songwriter. Sandé was raised in Alford, Aberdeenshire, Scotland with her parents, she first became known to the public eye after she featured on the track "Diamond Rings" by the rapper Chipmunk (2009). It was their first top 10 single on the UK Singles Chart. In 2010, she featured on "Never Be Your Woman" by the rapper Wiley, which became another top ten hit. 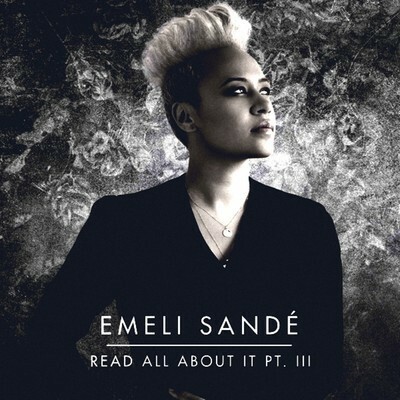 Simon Cowell called Sandé "his favourite songwriter at the minute". In 2012 she received the Brit Awards Critics' Choice Award. She has written for a number of artists, including Cher Lloyd, Parade, Susan Boyle, Gabrielle, Preeya Kalidas, Rihanna, Leona Lewis, Alesha Dixon, Cheryl Cole, Tinie Tempah, Ella Henderson and Mutya Keisha Siobhan.